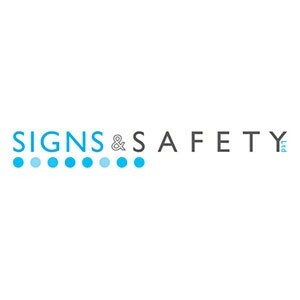 At Signs & Safety Ltd we are specialists in the design, manufacture and installation of bespoke signage solutions. Over the past two decades we have supplied our blue-chip client base with a wide range of first class sign products. Our strength lies in being able to work under pressure in order to meet client deadlines and construction industry handover dates. The team is consistently capable of delivering innovative and effective building signage solutions. We are proud of our reputation for maintaining exceptionally high levels of customer service and look forward to dealing with your requirements, whether this is a simple fire exit, building sign or a corporate national rebranding project. Our dedicated team is highly skilled and experienced in what they do, so you can always be sure that your order will be processed with care, from the initial enquiry to the delivery and installation of your signs. Edit Signs & Safety Ltd.